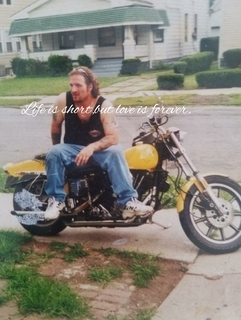 Lee E. Lukco, Sr. passed away February 12, 2018 leaving three children, Megan and Lee Lukco Jr and Brittany Mccune; son of Gene and Martha Fredericy; brother of Gene Lukco Jr, Chris Lukco(twin), Paul Lukco (Nikki Lukco) and Kathryn (Joe Hayko); uncle and friend of many. Please join the family in a celebration of Lees life at 224 Tuxedo Avenue, Brooklyn Heights, Ohio 44131 on Saturday February 24th from 4 pm – 10 pm. Leaving your tears at home come laugh, play games, see old friends and talk about the happiness Lee has left in your life. BYOB. If you have any questions please contact Kathryn Hayko or Amy Duncan via Facebook. In lieu of flowers please come join our celebration bring a dish if you wish and play in the 50/50 raffle and other games we have prepared. Praying the family can feel God’s peace and comfort. Prayers & Condolences, may Lee Sr. Rest In Peace. Until we meet again brother!! Rest in heaven!!! I’m going to miss you, ” Horseman.” Love always Uncle Charley.